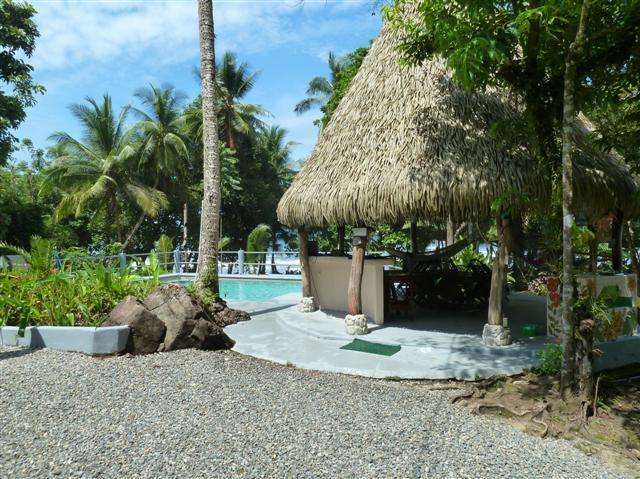 4322 square meters (1 acre +) Ocean front Resort. 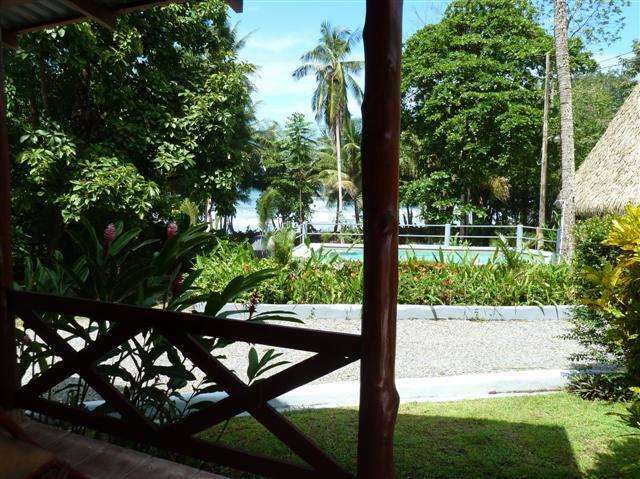 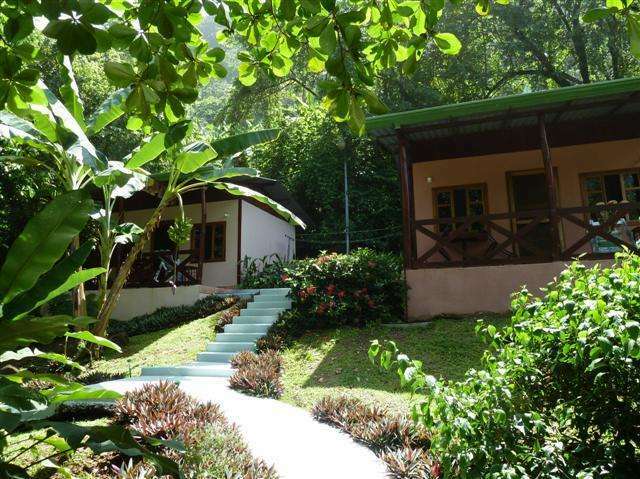 The resort has 4 well appointed cottages, each accommodating up to 3 people. 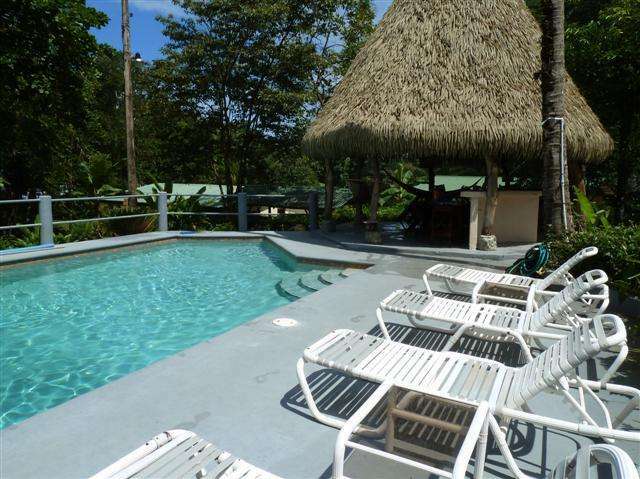 All units are Air Conditioned with covered porches and ocean views. 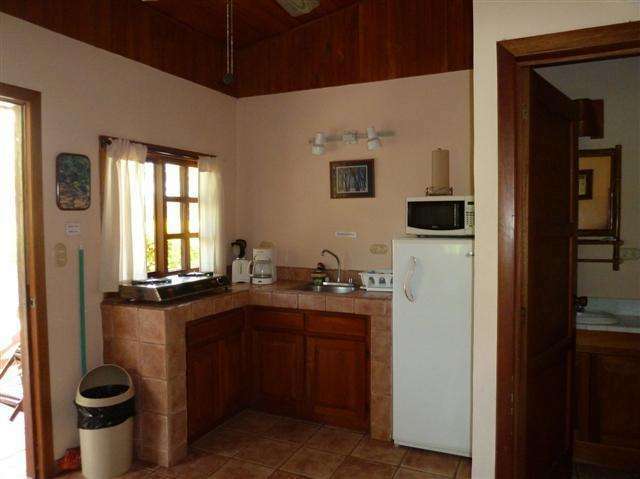 Each cottage has hot water, full bath, refrigerator, toaster and coffee maker. 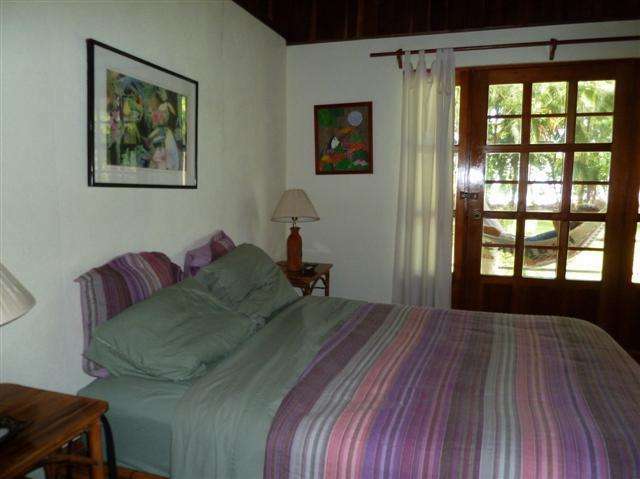 On the property there are also two larger guest houses with fully equipped kitchens, a private bedroom and a futon in the living room area. 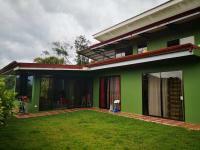 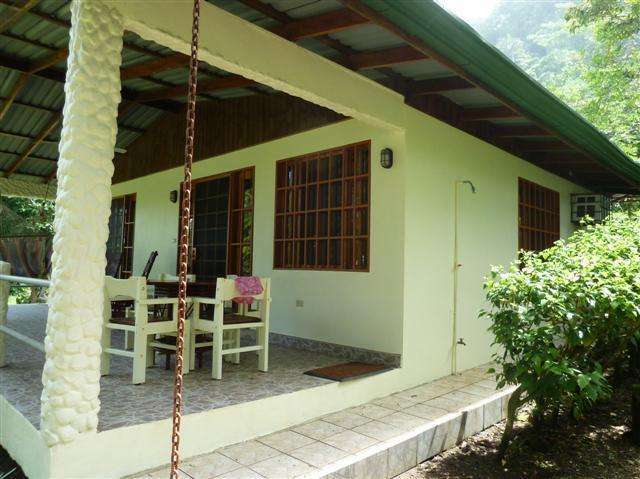 Each guest house accommodates up to four adults. 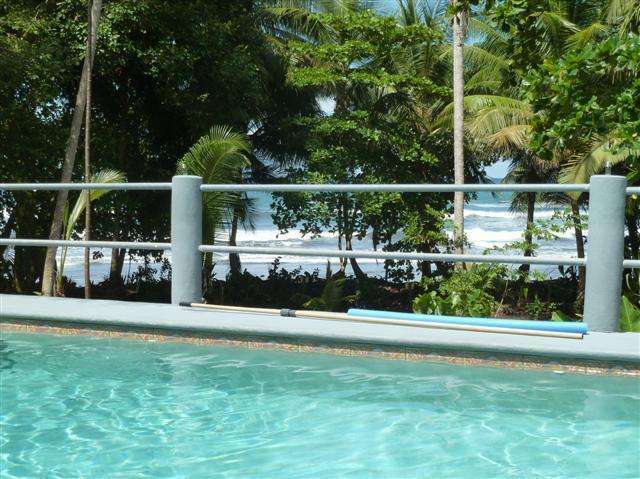 The resort also has a private entrance to the beach, swimming pool and barbecue rancho facilities. There are other areas to build up to 4 or 5 more cabins or cottages. 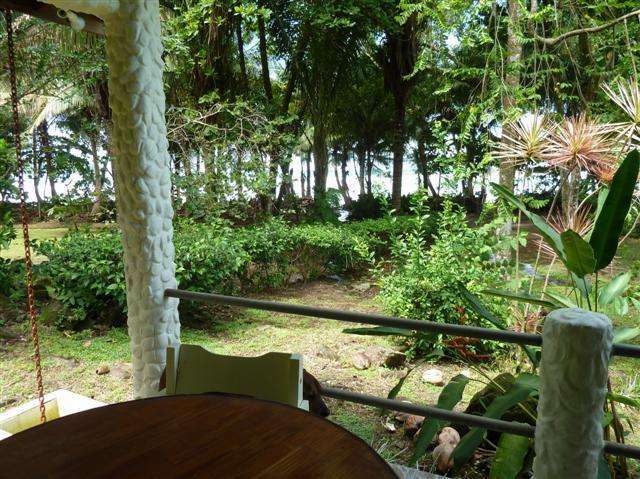 The sunset views on this resort are spectacular, really a site to see. 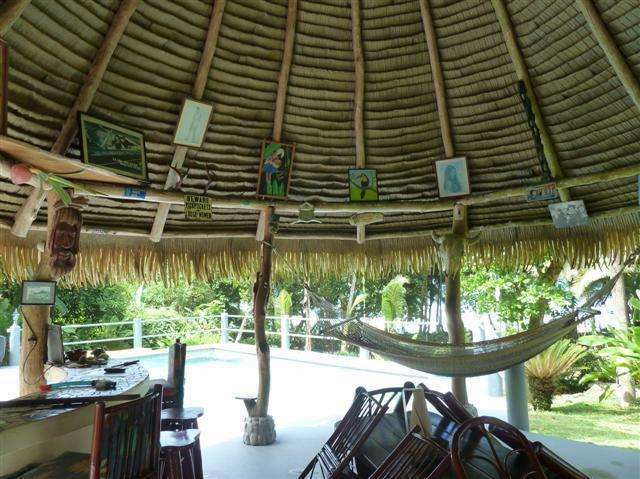 There are many tourist attractions in the area as well as many restaurants. 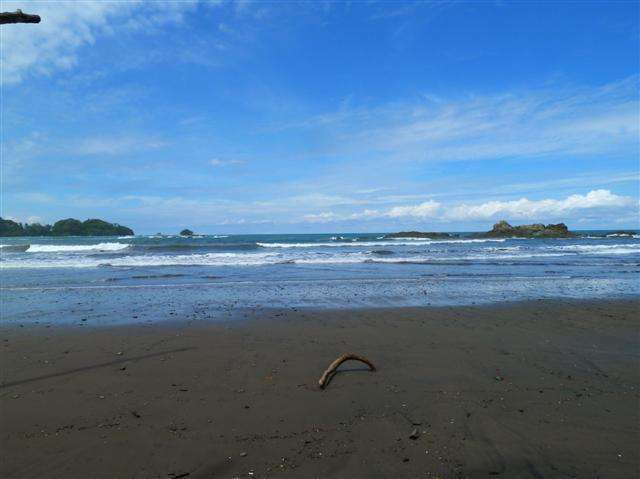 In this area you have Waterfall Tours, Deep Sea Fishing, Kayaking, Bird Watching, Horseback riding on the beach and some of the best Surfing in the country. 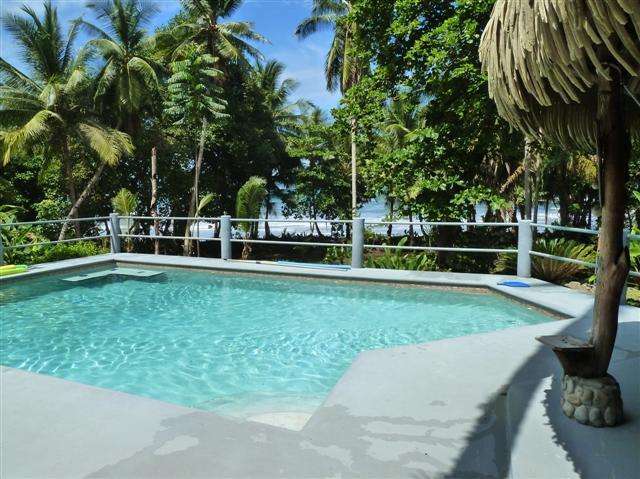 A dream come true property. 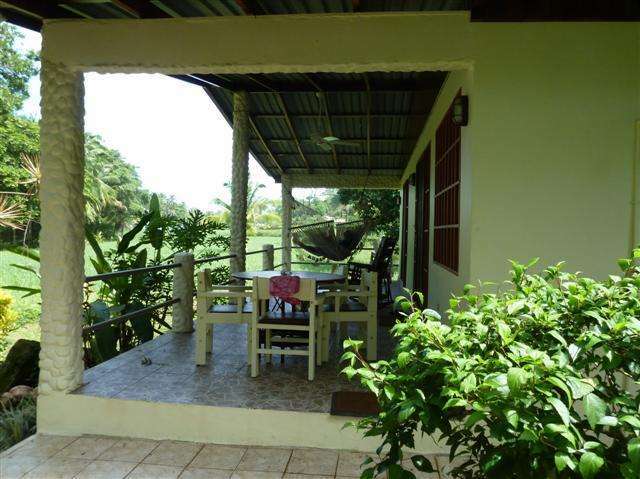 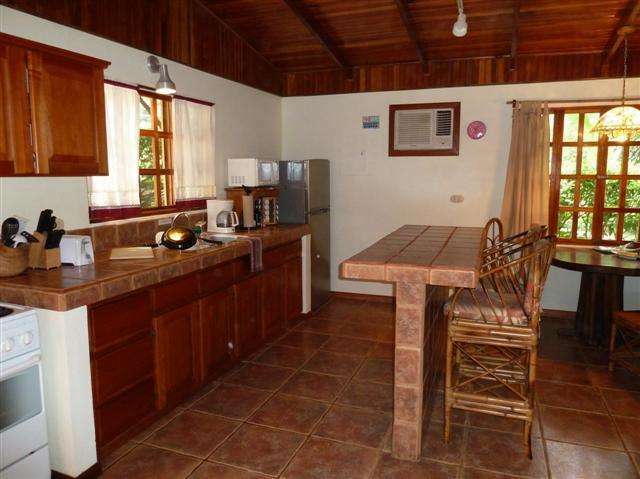 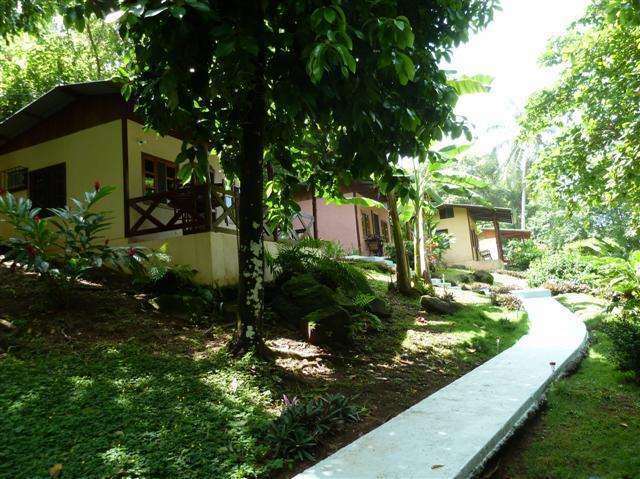 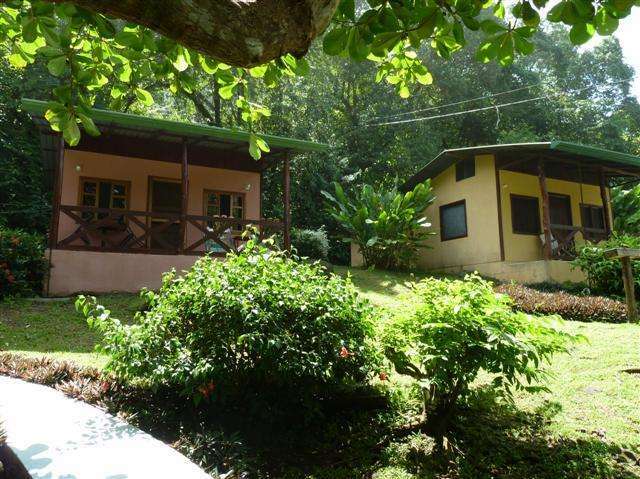 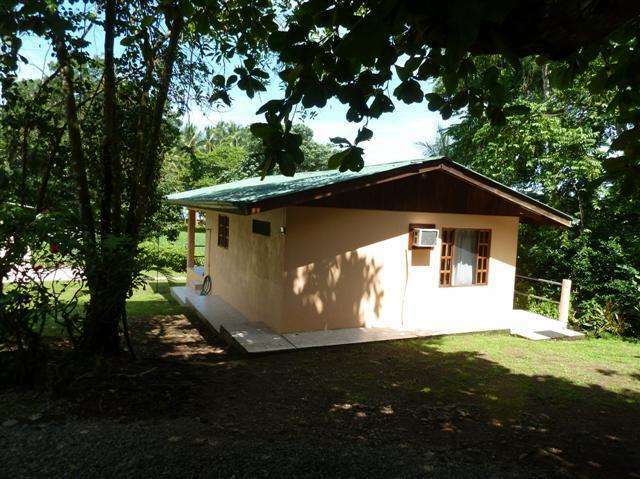 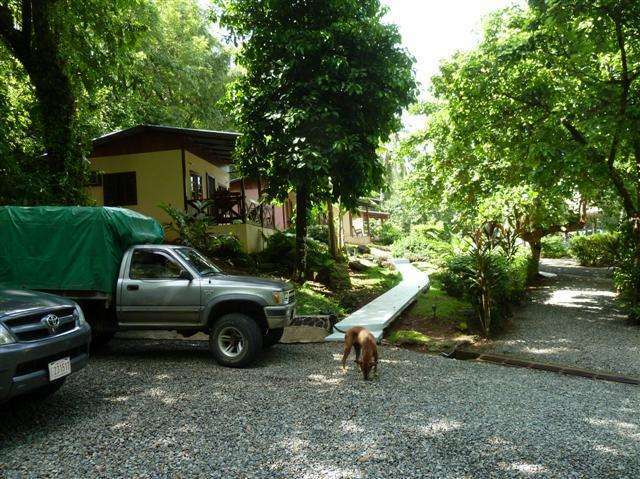 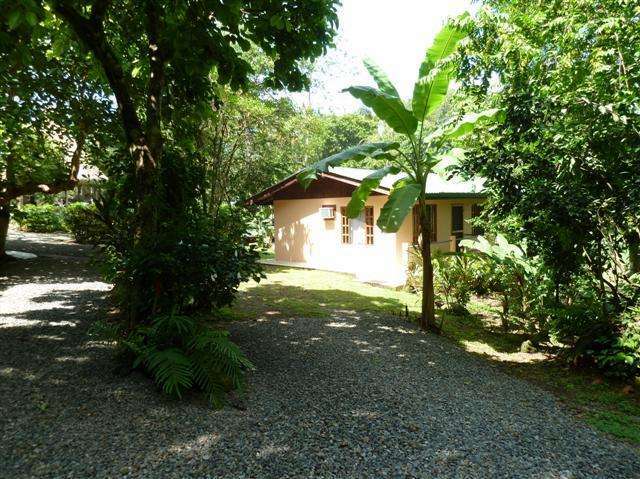 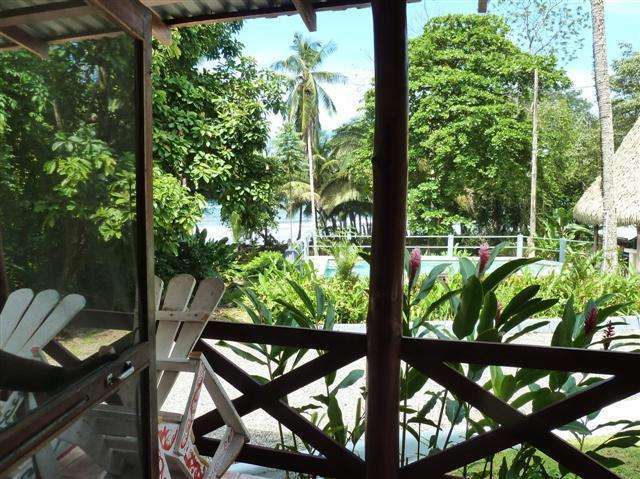 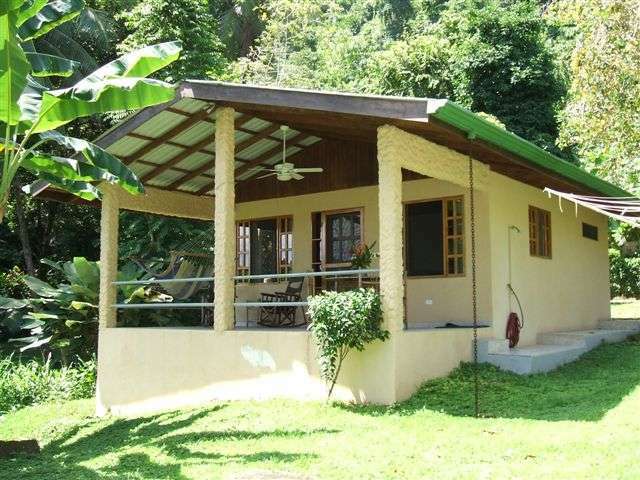 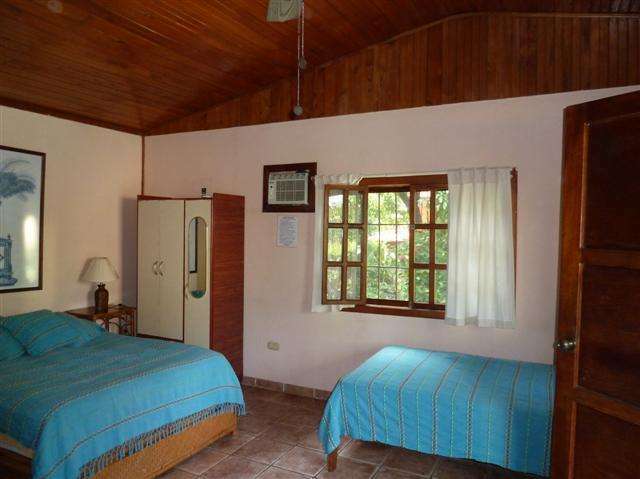 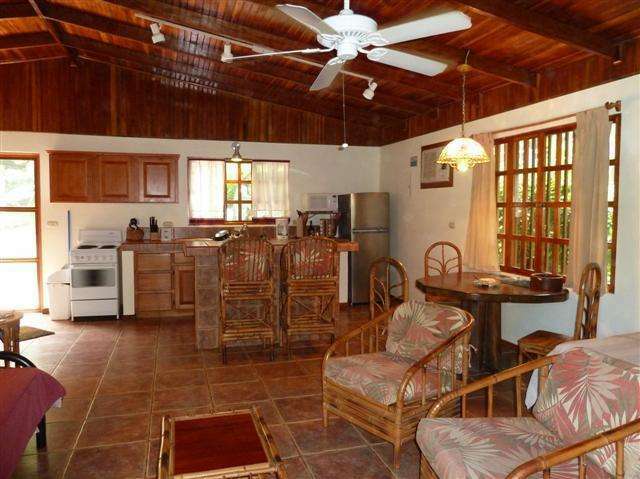 This property is nestled in a Tropical Beach setting on the Pacific Coast, just 2 minutes from Dominical beach. 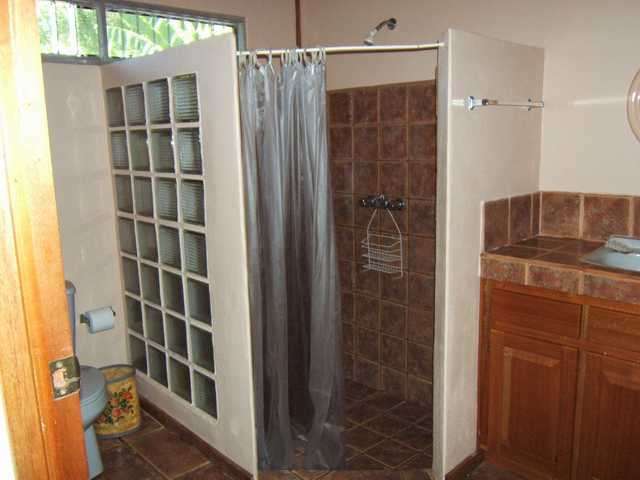 Use your mouse or touch screen to browse the images.26 pictures available.